Loudpedal Productions was fortunate enough to follow Jason Leffler during the 72nd running of the Turkey Night Grand Prix at Perris Auto Speedway in November 2012. Godspeed Jason, you will be missed tremendously. Race 1 — Will consist of the even-numbered positions, starting with position 8 from single-car qualifying. The results of Race 1 shall determine the even-numbered positions in the starting field, starting with position 12. The top two finishers will transfer to Race 3 and start in positions 8 and 10. Race 2 — Will consist of the odd-numbered positions, starting with position 7 from single-car qualifying. The results of Race 2 shall determine the odd-numbered positions in the starting field, starting with position 11. The top two finishers will transfer to Race 3 and start in positions 7 and 9. 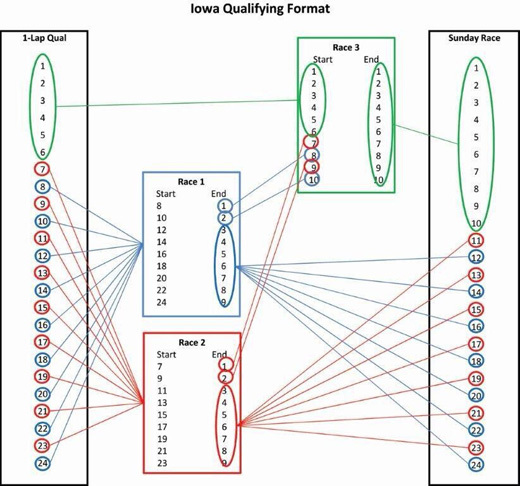 Race 3 — Will consist of positions 1 through 6 from single-car qualifying plus the first- and second-place finishers from Races 1 and 2 to determine the pole winner and the first five rows of the starting grid. The 250-lap race will be broadcast by ABC (2:30 p.m. ET) June 23. It also will be available on IMS Radio Network affiliates, XM/Sirius 211, indycar.com (IMS Radio Network and Timing & Scoring) and INDYCAR 13 (in-car cameras, Timing & Scoring, IMS Radio Network). 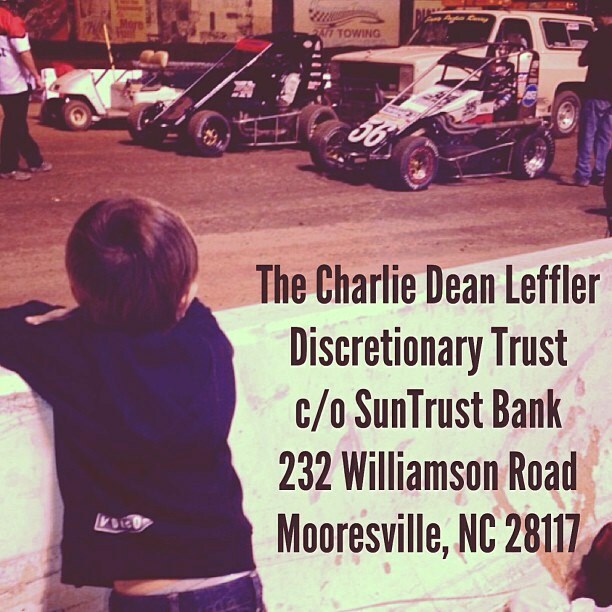 CORNELIUS, N.C. (June 15, 2013) – In honor of NASCAR driver Jason Leffler, who lost his life in a racing accident this week, a trust fund has been established for his five-year-old son, Charlie Dean. This trust will serve as the official Leffler Family fund, with all monies going directly to Charlie’s needs. Turner Scott Motorsports co-owner Harry Scott Jr., former Braun Racing owner Todd Braun and Steve Overholser, CFO of Great Clips, will serve as trustees. 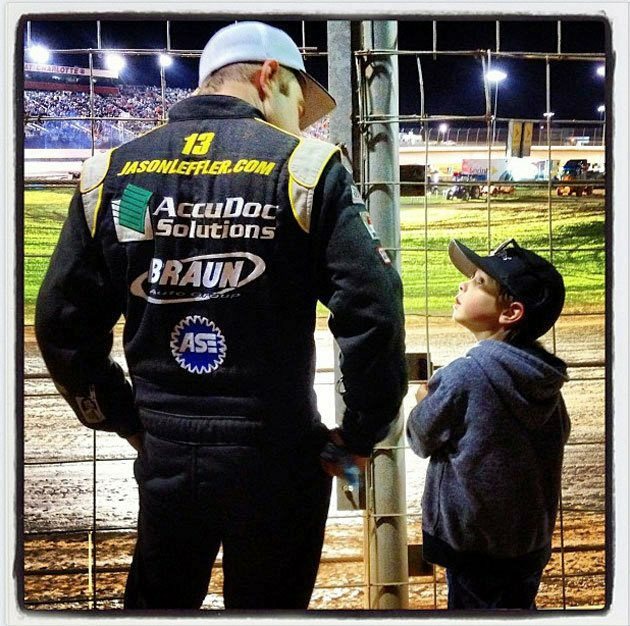 A celebration of Jason Leffler’s life will be held on Wednesday, June 19. The service will be at Grace Covenant Church, located at 17301 Statesville Road in Cornelius, N.C. at 1:00 p.m. In lieu of flowers, donations can be made to The Charlie Dean Leffler Discretionary Trust.